As a used car buyer, you need to know the history of the car you plan to buy. The REVS Check report should be an essential part of that buyer journey. You should have all the information about the vehicle at your fingertips, and that’s what doing a REVS Check WA does. 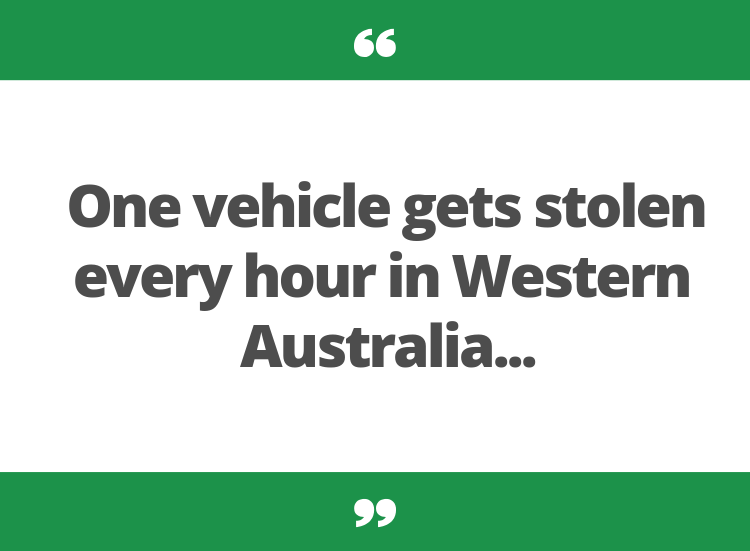 In Western Australia, car thefts are rampant. It has even reached as high as a car an hour stolen across the state. A REVS Check report can protect you from buying a stolen car. But that’s not all it does. What is a REVS Check Report? A REVS check report contains essential information on vehicles registered in Australia. You can run a REVS Check online by using the vehicles unique VIN or by the registration (rego) number). Your REVS Check report generally carries four essential details that make buying a used car much less scary for consumers. These details and information help to protect the buyer from incurring additional debt, buying a lemon, or receiving stolen property. Here are the main details that a REVS Check WA report carries for Australians. The car history report that you get with a REVS check gives you details on the vehicle. This can include make, model, colour of the car. It is also able to give you the registration number and expiration date of the registration. The report will indicate if there were any recorded events that led to write-off issues with the vehicle. This can be repairable write-offs, inspected write-offs, statutory write-offs. The details of each incident are also indicated so you can know the type of accident or damage that impacted the vehicle. The REVS check report will also provide theft record details. You can determine if the vehicle or engine parts or the number plate were stolen. A Revs check report will carry details on outstanding loan information pulled from the Personal Properties Securities Register (PPSR). This will tell you whether there are any debts registered to the car owner of which the car is the secured interest in the transaction. Now, you may be wondering iss REVS Check worth it? Here are 4 reasons why you should get a REVS check report before buying a used vehicle. Your report will carry complete essential details on a vehicle. That way you can compare what is officially registered with what is presented to you by the seller. You can determine if the make and model details online are the same as what the car papers are showing. Accidents happen. Damages can occur. Without knowing the details of these, you can end up buying a used car with lots of unforeseen mechanical problems. Then you will end up paying thousands of dollars in repairs that you had not budgeted for. The damage records could also work in your favour. If you are OK with the reported issues, you can negotiate a better rate if you have to fix to repair anything. Plus, you won’t be caught with any surprises stemming from the damage issues since you would already know about them before buying the used car. Driving an unregistered vehicle on the road is illegal. If you buy a used car and in the process of driving it home to finish up the details, you could get stopped by a police officer. If the registration of the car is expired, you can face high fees and penalties on your licence for driving an unregistered car. So, knowing when the registration expires is an important detail you need to get before buying a used car. And this is one of the primary details in your report. You can be a happy used car owner if you make a right choice. And the best way to do that is with an online REVS Check report. So, drive off with the car knowing that the official government records can give you peace of mind about the decision you are about to make. Now that you know how to do a REVS Check WA and why it’s worth it, it’s time to protect your investment. We are a trusted REVS check online in Australia. So, if you plan on buying a used car, make sure to run a REVS Check so that you can reap all the benefits and avoid all the issues that could come with a used car.